At the output of the Val d’Ega, surrounded by the magnificent mountains of the Dolomites, there is the South Tyrolean holiday resort Nova Levante. The high peaks of the legendary Catinaccio and Latemar are the backdrop for relaxing holiday weeks in the clear mountain air. 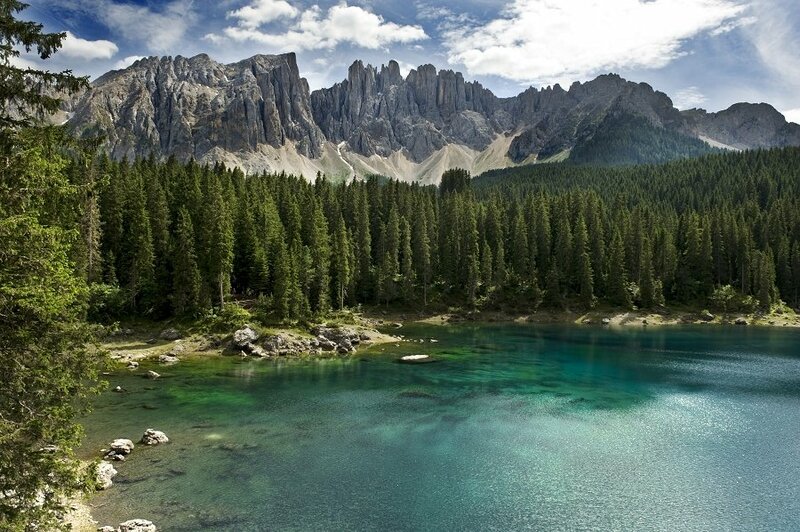 With the shimmering emerald green Lake Carezza, one of the most beautiful lakes of the Dolomites can be found in the municipality of Nova Levante. The lake is nestled between the mighty rock massifs of the Catinaccio and Latemar and is surrounded by lush meadows and dense forests. In the visitor centre on the shores of Lake Carezza during your holiday in Nova Levante you may learn exciting details about the myths and legends of this Alpine region and get a comprehensive insight into the rich flora and fauna of the Val d’Ega. 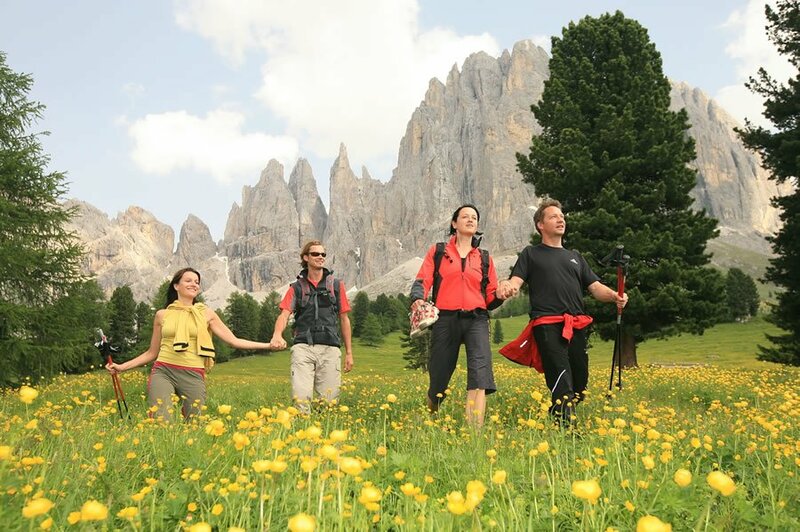 A well-marked network of hiking and biking trails runs through the entire Dolomite area in Nova Levante. Many hiking and biking tours lead right past the farm Karerhof. Take a deep breath in the clean, healthy mountain air and enjoy the mountain world of the Catinaccio and the Latemar and the natural surroundings. You will spend your vacation in Nova Levante on the highest wooded hill in Europe. Dense coniferous forests grow on the Montalto di Nova up to 1756 meters of altitude. The area is crisscrossed with hiking trails and mountain bike trails and a popular tourist destination in the municipality of Nova Levante. Numerous alpine huts invite you to take a break during your hiking trips. Enjoy the cosy atmosphere, South Tyrolean dumpling dishes and savoury bacon. The Passo Carezza is an ancient crossing of the Alps in the municipality of Nova Levante. The Romans used the passage in early times to cross the mountains. Here, there is a golf course with a long tradition. 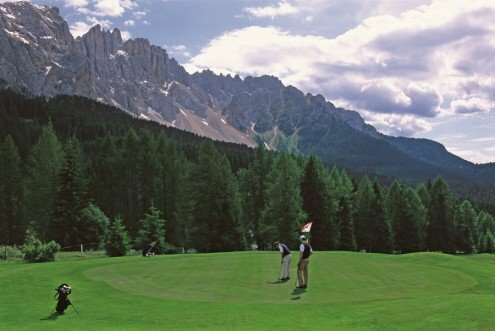 Members of various noble houses of Europe played golf in the idyllic surroundings already about 100 years ago. An explosion of colours awaits you in the evening, when the last rays of the setting sun create the alpenglow on the peaks of Catinaccio.